Web browsing preferences can vary from person to person. 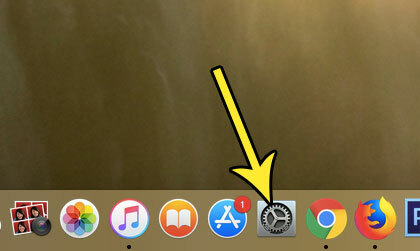 Many Mac users like using Safari, as it is both fast and capable. But there are other browser options that are just as good, such as Chrome or Firefox. 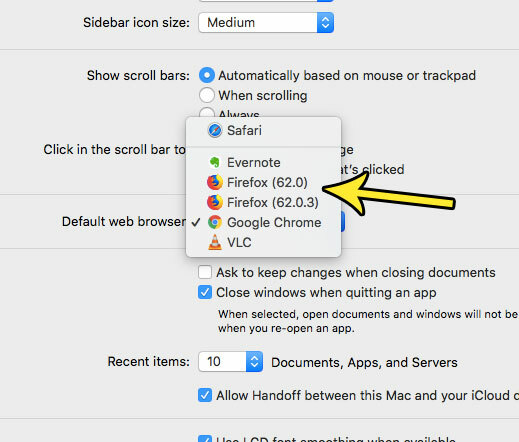 If you would prefer to use one of those browsers instead, then our tutorial below will show you where to find and change that setting. The steps in this article were performed on a MacBook Air in MacOS High Sierra. You will be able to set your default browser from the different browsers installed on the computer. Once you choose the default browser, links and pages that you attempt to open will open in that browser. Step 1: Open the System Preferences. Step 2: Click the General button at the top-left of the window. Step 3: Click the dropdown menu to the right of Default web browser, then choose from the options show there. Would you like to be able to display your MacBook screen on your television? 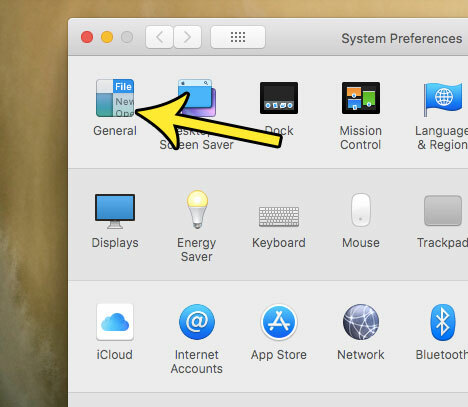 Find out how to connect a MacBook Air to a TV using an HDMI cable so that you can see your computer content on a much larger screen.